The 2015 Korean drama season starts to kick into gear with "The family is coming" 떴다! 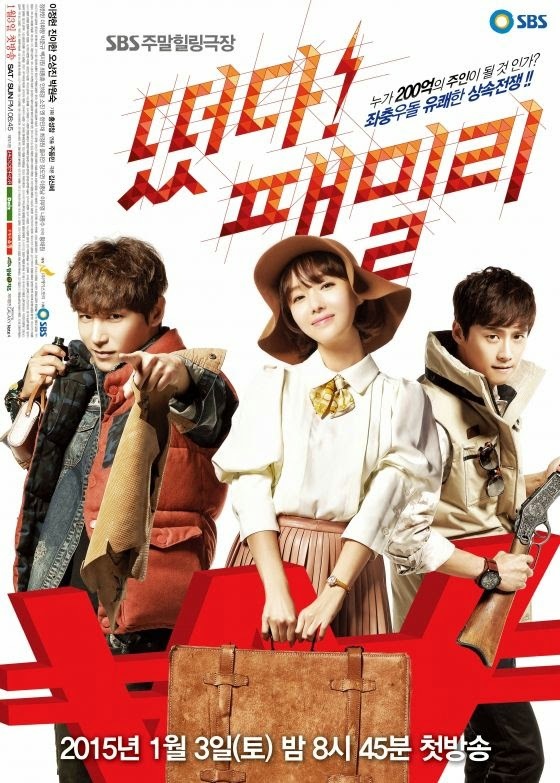 패밀리 (2015) [link] and "Kill Me, Heal Me" 킬미, 힐미 (2015) [link]. I am currently doing a recap of "The family is coming" 떴다! 패밀리 (2015). You can find episode 1 here! Also find episode 2 here! However, we still have the 2014 Korean dramas to complete. One of those is "Healer" 힐러 (2014). Since it is ending in February 10, 2015, the mid run reviews are coming out! Here are two of those reviews from two of the most prolific Korean drama reviewers! Jin sight reviews from jinsightreviews.com as a review titled Healer: Halfway Review! The impressions of the reviewers are not stellar about the show! Click here to the review! Jin sight reviews has a Alexa rank of being the 5.2 million-th ranked website in the world. It has risen in rank by 2.1 million is a few month! Go. Jin sight reviews!